Whether you have all the riches of a king or only 2 coppers, everyone needs a stylish wallet! 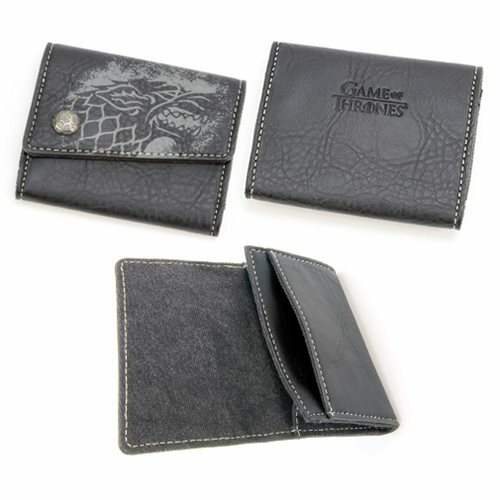 This Game of Thrones House Stark Wallet features a Stark Sigil print on the front of flap and a custom hammered closure rivet. The wallet measures approximately 4 1/4-inches x 3 1/4-inches x 1-inches. Ages 15 and up.